Happy Birthday to me! A typical girly girl treats themselves to all beauties finest attributes to offer and I did just that! As my birthday has ended up on a boring Monday however, I done all my treaties all over the weekend with a new set of nails, new clothes, makeup and new hair do. basically, i spoilt myself! I think it is well deserved after a long hard year of doing mummy duties and fashion shoots! 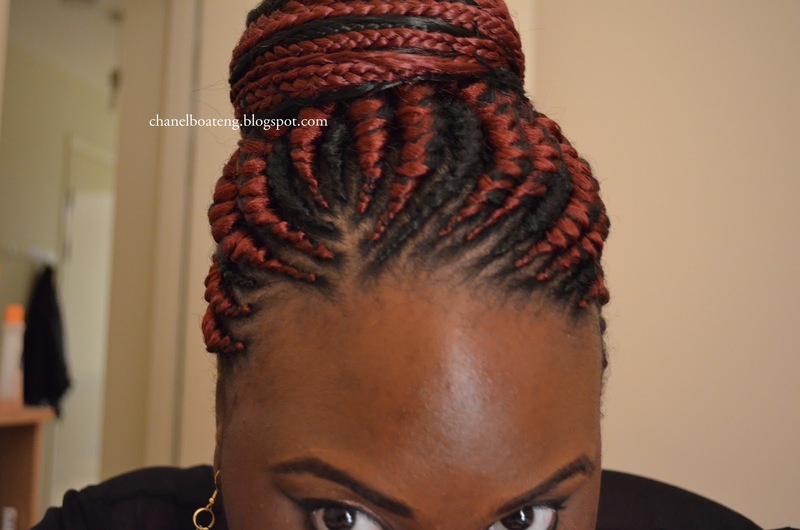 I have not had Ghana braids in a long time- So i decided to get an updo with black and red hair extensions- I figured I needed some excitement in my hair! 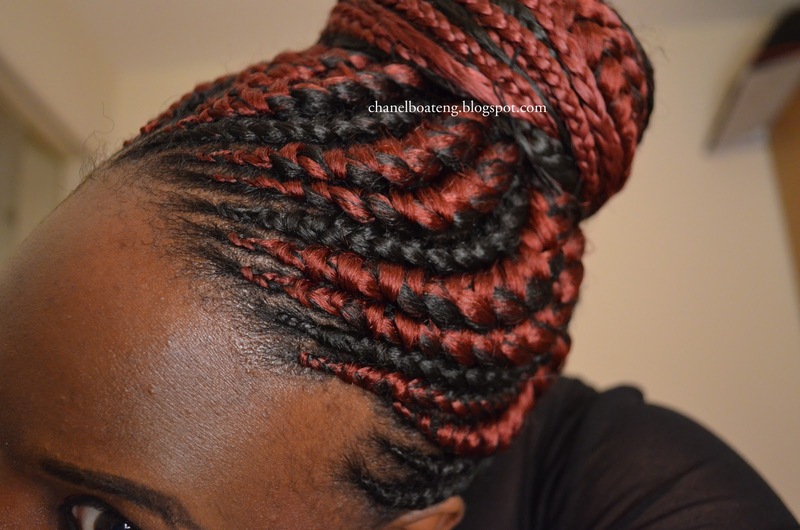 Is it me or have you realised that the classic fat braids and cornrows are back in town? They were a hit in the 90's and slowly creeping back. I had fat braids 2 years ago, not for a trend but simply because I was going through a rough patch in life and I needed a hairstyle that would not add stress to me as braids usually remain un touched after you apply them. 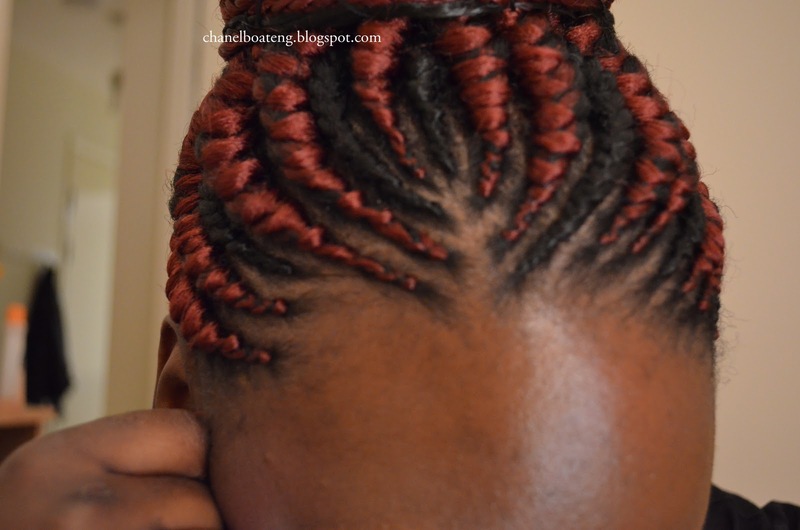 By the next year I saw people rocking it again- and I also had another fat braid hair do in the winter of last year. It turns out that every year I do braids for winter, it just takes away stress.